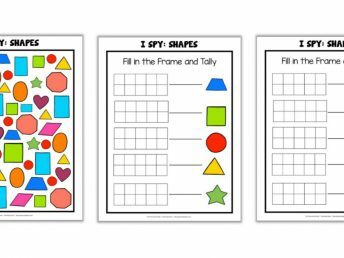 We are pretty in love with I-Spy games here. 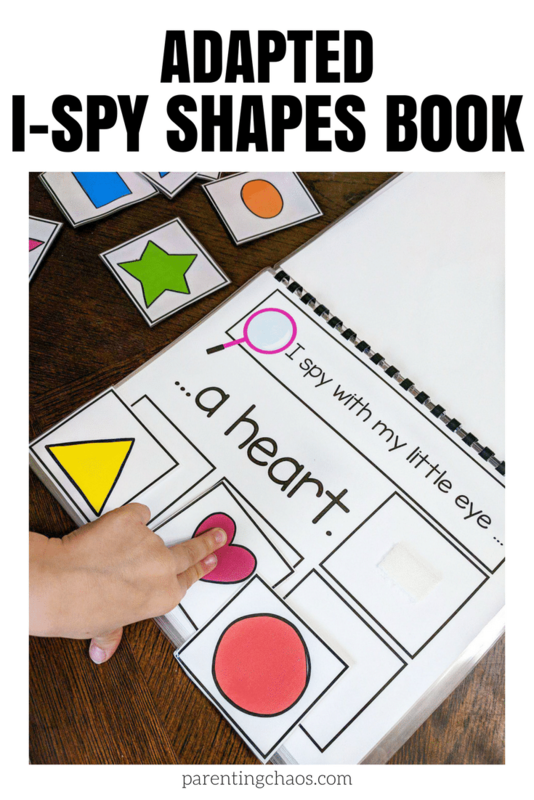 This Adapted I Spy Shapes Book is a fantastic and fun way to work on so many different skills. 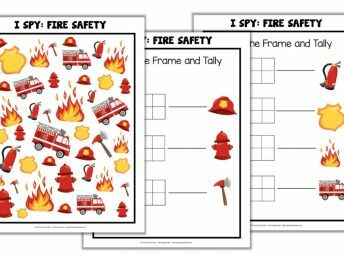 This past week I have gotten quite a few emails asking for easier versions of some of our I-Spy games to help kids that struggle with visual discrimination (ability to attend to detail) or visual tracking (eye movement and coordination). 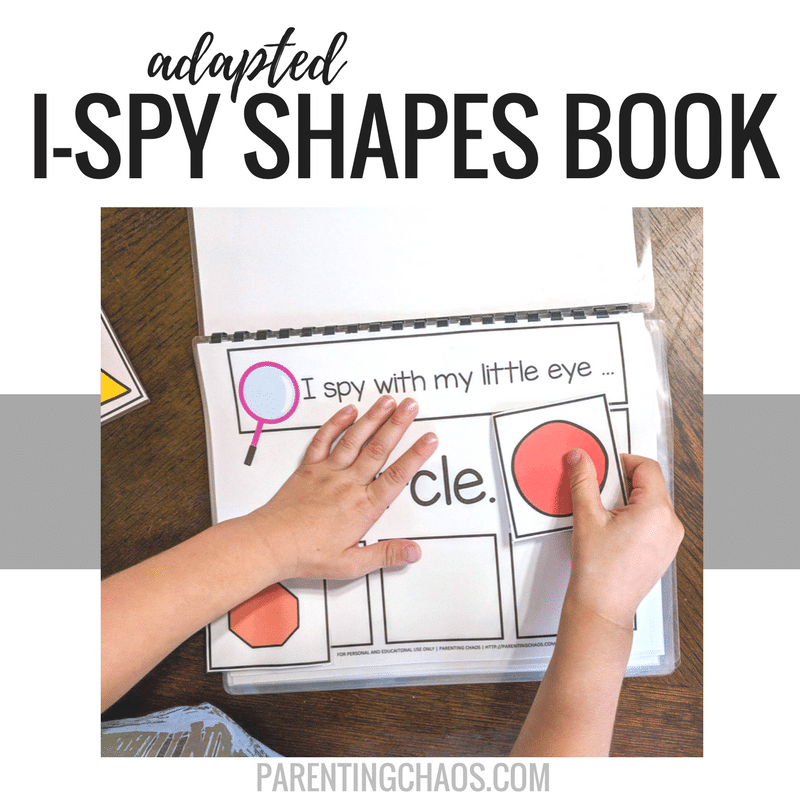 I decided to start with this I-Spy Shapes Adapted Book since my son is struggling to learn his shapes and our more complicated version (available in the content library) is overwhelming for him. So far we have loved this book! At the bottom of this page, you will find a email box “Give Me the Printable”, click that button. If the button is green and says “Start Download” or “View PDF” please do not click that, that is an ad that is slipping through the cracks of the filters on my ad management and we are doing everything we can to get rid of them. Above the “Give Me the Printable” button you will be prompted to give your email address. Simply fill this out and your download will appear. 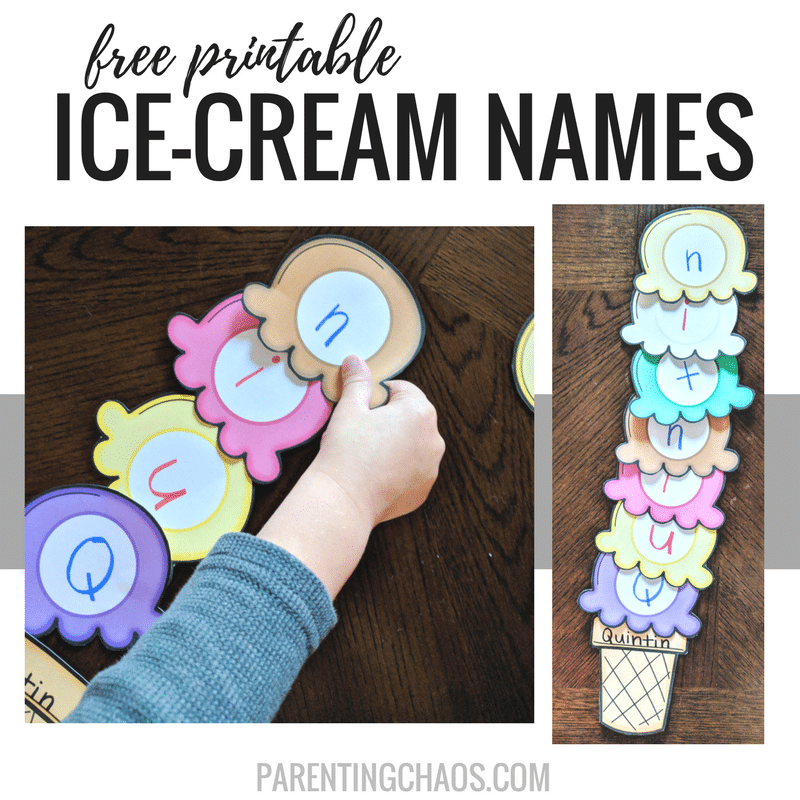 After you print, I would also highly suggest laminating. For ours, we laminated every single page plus one blank piece of paper. Our blank piece of paper became our cover page and holder for our game pieces. I placed two strips of velcro across the page and it worked beautifully for holding our cards. I also placed velcro on the back of every single game piece and in the answer square. 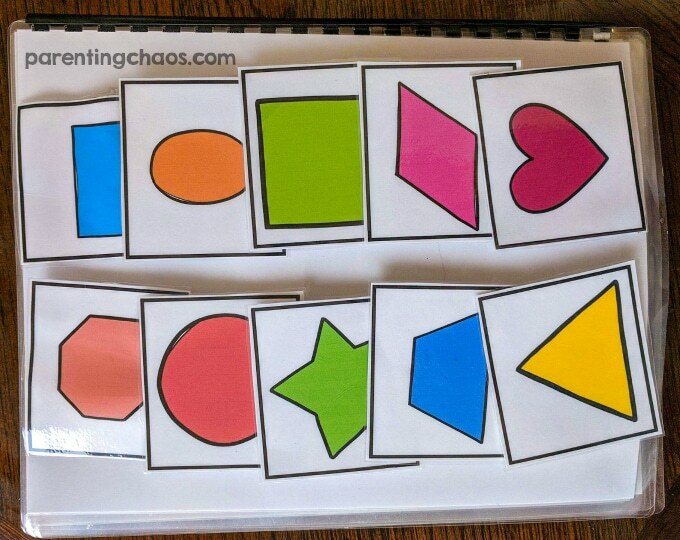 I did not put velcro into the squares that children could pick from because my child isn’t quite ready for that fine motor challenge and he finds removing items from velcro frustrating. As his confidence gains with these games, I might add some velcro in there. 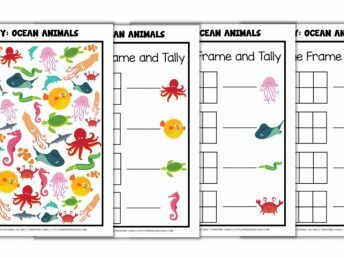 The back pages of this printable packet include the game pieces. You could easily print off more than one copy of these if you desired. We only printed off one. For each page of the book I drew three cards from the pile next to the book and placed them in the three squares along the bottom. Then using my finger as a pointer we read out the sentence. 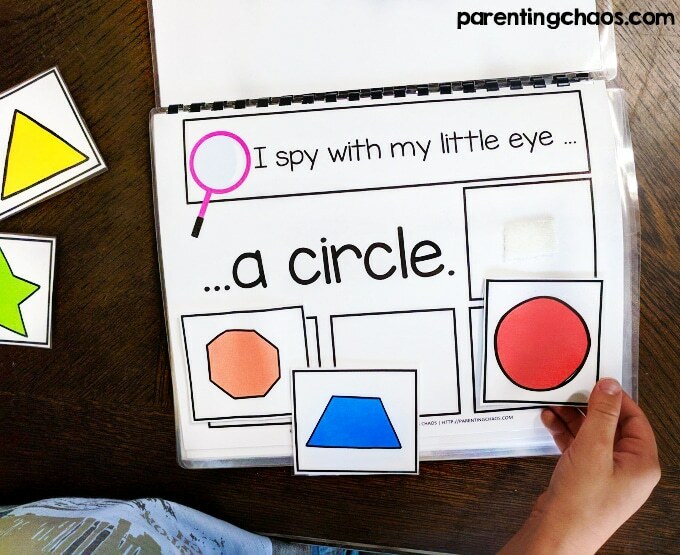 After a couple times of playing this game, we used a marker to place dots under the word of the object we were identifying to work on letters and reading. 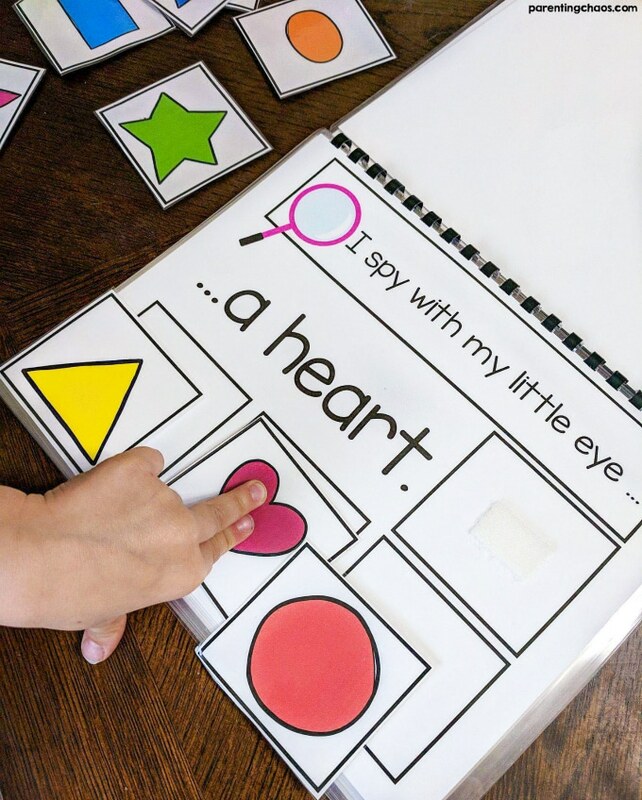 So for example on heart we would say, “I spy with my little eye a H-E-A-R-T heart”. 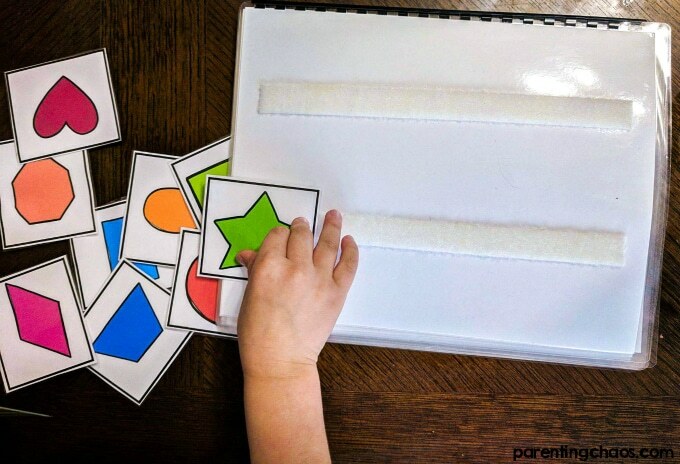 Then have the child select the correct card, move it up into the answer square and move on to the next page! If you only printed off one version of each card you will need to remove the card and add it back into your pile. 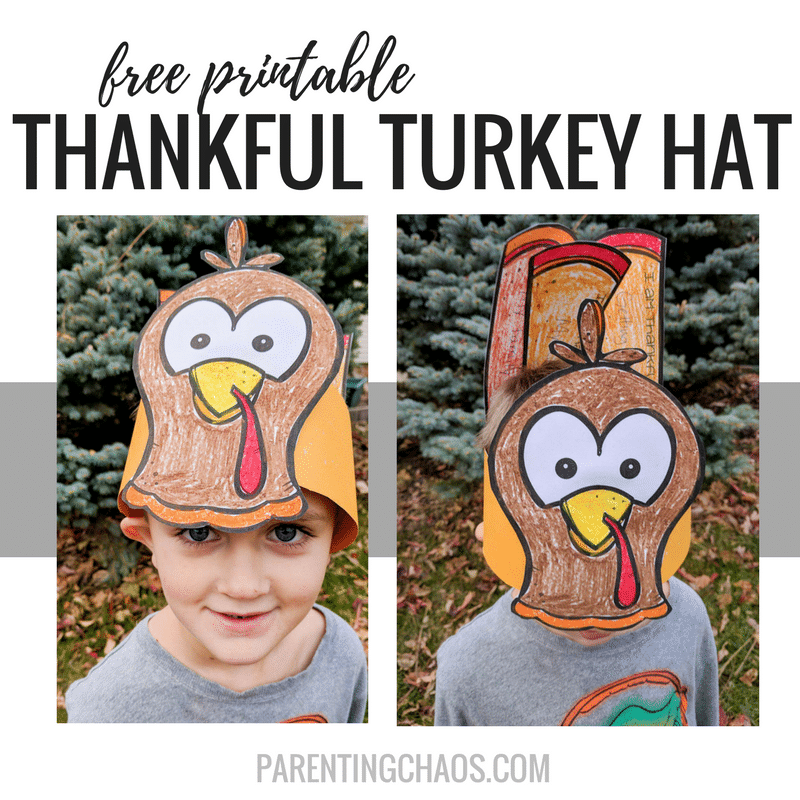 We had a blast with this and hope y’all do too! Want more I Spy Games? 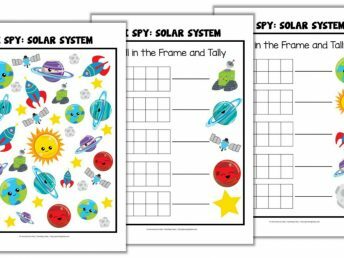 Head over to our Ultimate Resource for I Spy Games to find all the I Spy printable worksheets we have on site. 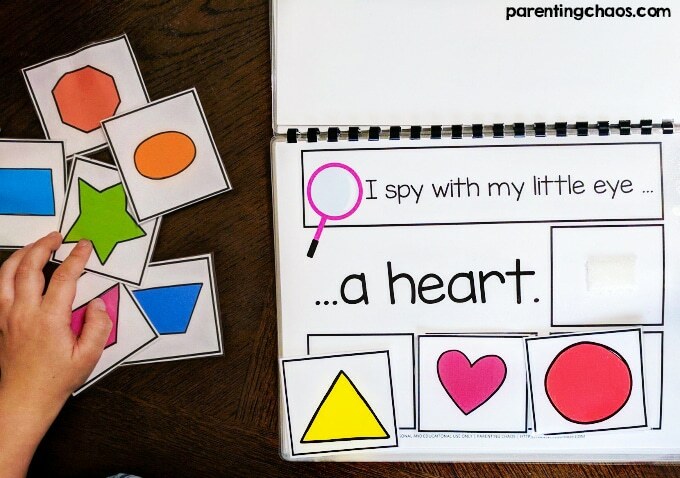 If you aren’t printing off this activity right this second, pin this post so you can easily find it later!